A “triggered email” is an email that a company sends to its contacts or leads to help facilitate or follow up on some kind of action taken by the user on the website. 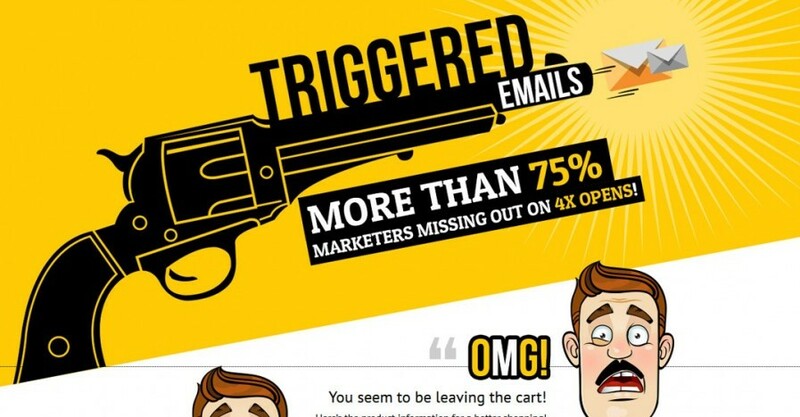 Our friends from Email Monks created an infographic that delineates some of the most staggering triggered email stats, benefits and challenges of using triggered campaigns, various types of automated workflows and the future of triggered emails. The infographic also provides a checklist to take into consideration while planning for a triggered email program. Check out the infographic below or the bigger and interactive version here. Is this infographic useful in your next triggered email campaign? Share us what do you think via the comments below!